Luxury boutique experience awaits you in one of Florida’s best keep secrets, New Smyrna Beach at the Historic Riverview Hotel & Spa. 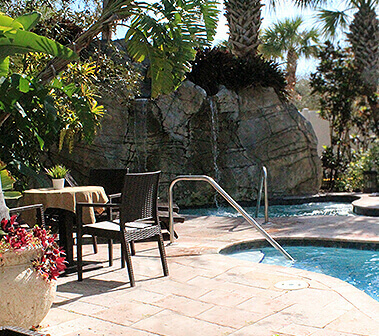 Our passion for outstanding service begins from the moment of your arrival, with complimentary on-site parking, a spa with its own Oasis featuring mineral pools, outdoor dining, and a refreshing waterfall. Our beautiful beach is a short stroll away or you can bring your boat and dock at our exclusive Marina. After a wonderful day taking in the sights, take a dip in our heated pool or do a little shopping in our Gift Shop. If there’s anything you desire, drop by or call our 24/7 front desk, where we look forward assisting you.